Where Can I Find My Modified Adjusted Gross Income on My Taxes? You can calculate your MAGI using your Form 1040. 2. Does the Bank Use Taxable Income or Gross Income to Determine if You Qualify for a Loan? 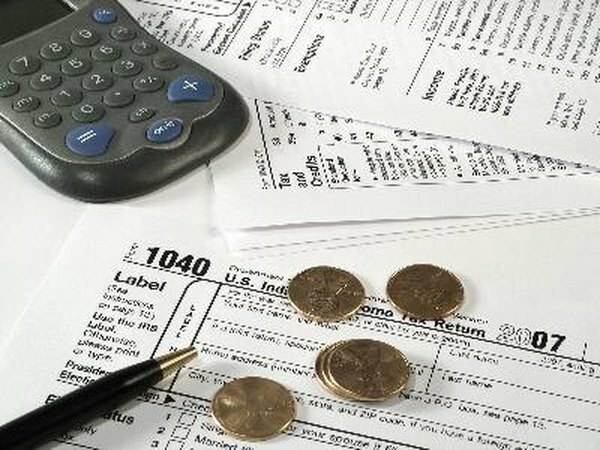 Modified adjusted gross income is an important figure on your taxes. If your MAGI is too high, it may limit or restrict the availability of certain deductions. Your MAGI isn't listed on your actual tax form as a separate line item. You must compute your MAGI on your own, using other information available on your Form 1040. Your modified adjusted gross income, or MAGI, is not listed on your tax return. However, it can be calculated using information from your Form 1040. Your modified adjusted gross income is a subset of your total income. Your total income consists of all types of earnings you received during the year, such as wages, salaries, tips and commissions. Total income also includes IRA and pension distributions, rental income, alimony received, dividends and interest, Social Security benefits, taxable refunds, farm income, unemployment compensation, business income and capital gains. You can find your total income on line 22 of your Form 1040. Your adjusted gross income takes your total income and tweaks it slightly by subtracting certain deductions allowable by the IRS. You can find the allowable deductions on the first page of your Form 1040, under the section marked "Adjusted Gross Income." Lines 23 through 35 list the exact deductions you can take, including tuition and fees, educator expenses, moving expenses, alimony, student loan interest, and deductions for IRA contributions. You can also deduct self-employment taxes or qualified plan contributions, domestic production activities, and health savings account contributions. If you subtract your applicable deductions from your total income, you'll be left with your adjusted gross income on line 37 of your Form 1040. Your modified adjusted gross income is usually very similar to your adjusted gross income, with a few items added back in. It does not have its own line on Form 1040, but you can compute it by eliminating certain deductions and exclusions. Deductions for IRA contributions, student loan interest, tuition and fees and domestic production activities must be added back in to your AGI calculation, as must any exclusions for foreign earned income or housing, qualified savings bond interest or employer-provided adoption benefits. The resulting figure is your MAGI. A high MAGI can render you ineligible for certain deductions or credits. For example, if you are covered by a retirement plan at work, a high MAGI could limit or prevent you from claiming an IRA deduction. As of 2011, if you were married filing jointly with a MAGI of $110,000 or more, you could not deduct any IRA contributions. Similarly, the student loan interest deduction was off limits to married taxpayers filing jointly with a MAGI of $150,000 or more as of 2011. What Is Taxable on My Paycheck? Is It Taxable if My Stepchild Is Getting SSI?